2019 SJ5K: IN IT FOR the Long Run! The ninth annual Super Jess 5k, or SJ5K, is taking place this year on Sunday, May 5th at 8:00am at the Canton Varsity Football Field! The event is a student-organized 5k or one mile run/walk that brings financial and community support to five families that are in desperate need (click here to view video). All five of our wonderful families are members of the Plymouth-Canton community and include students, parents, and former PCC-S staff. Last year, we had over 3,000 community members attend and show their support; this year, we intend to have record number come out to the race. Help our five families and register by April 15th for a guaranteed t-shirt! If you’re unable to attend, you can still make a difference by donating or sponsoring. More information about the event’s history and impact or this year’s recipients families is available on our website, sj5k.org. Show the community that you’re “IN IT FOR the Long Run” and register, form a team, donate, or sponsor today! Check out our new line of merchandise here, and order by April 8th to be ensure that you will be able to pick up or have clothing delivered to your house by May 4th in time for race day! 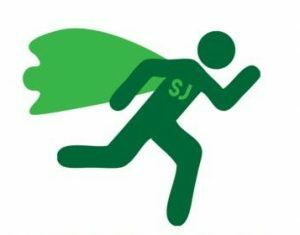 Go to SJ5K.org or contact sj5kcommunity@gmail.com with any further questions.